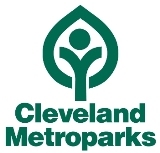 CLEVELAND – The Cleveland Foundation’s April centennial gift to the community – free admission to Cleveland Metroparks Zoo and The RainForest from 10 a.m. to 5 p.m. Saturday, April 26 – will include just-announced activities and entertainment in honor of Earth Day. As the first free weekend day for all Zoo visitors in almost 20 years, the Park District, the Zoo and the Cleveland Zoological Society are collaborating to make it a day to remember for local families. Radio Disney will be stationed at the Welcome Plaza from 10 a.m. to 1 p.m. to get the party started, and special Zoo tours will be offered throughout the day. Animal enrichment demonstrations, Meet the Keeper sessions, live animal shows, costumed mascot characters, Cleveland Metroparks NatureTracks, crafts and hands-on, interactive programs are just some of the special activities planned every hour for visitors. Guests are encouraged to bring their used cellphones and aluminum cans for recycling at a collection area on the Zoo’s Welcome Plaza. Visitors will also be invited to join the Zoo Team in creating a replica of the Earth using recycled plastic bags. The Zoo is encouraging guests to stop by the Rising Waters Camp in the African Savanna area to leave a commemorative message in a Cleveland Foundation Memory Book created for the special day. Visit ClevelandFoundation.org/metroparks or www.clevelandmetroparks.com/zoo to see the full schedule of activities planned for Cleveland Foundation Day at Cleveland Metroparks Zoo.